The start went really well and 10 mins after the gun I was crossing the start line in the second wave of runners, not bad considering there were 8999 other runners, the rain had stopped too which was a bonus! The first part of the route was through town with tons of support then out to Grantchester before returning back into town via Newnham and the “Backs” then just as you might be getting tired you arrive back into town where there are crowds of people to cheer you on. It was a real boost to see Geoff and other friends along the route, I also took advantage of the gels provided at the water stations and I swear these made a difference as I never felt like I was tiring at all. Due to starting in the rain I had decided not to run with my glasses on so was unable to read the information on my running watch, I cannot begin to tell you how amazed I was to find myself crossing the finish line in 2.09.25 with a huge big smile as not only had I ran better than I expected too but I had also managed my longed for P/B. 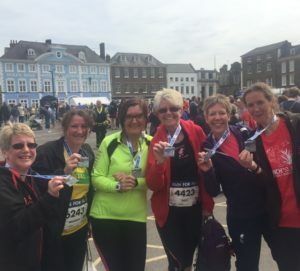 I really loved this event, it is so well organised , the weather was perfect for me,the bling is awesome and I got to tick off two of my 2017 goals, a half marathon and a P/B. 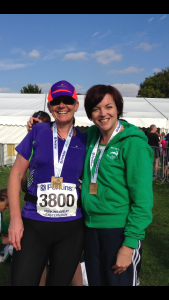 So what next ……well I have three 10km running events booked and a huge biking challenge to keep me going !!!!! 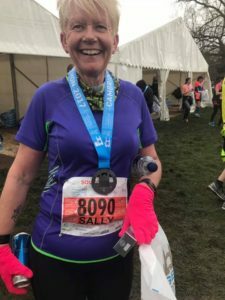 This entry was posted in Half Marathon, Running on March 10, 2017 by Sally. 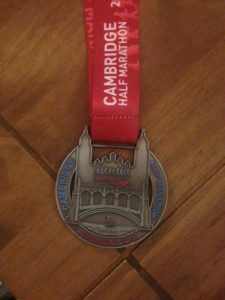 Due to injury Its now a year since i did my last running event, the Cambridge Half marathon, it was while running this that I tore my Achilles. It took a while to heal, but with help and advice from a good Physio i did mend, ironically it was the week of my bike crash that i had the all clear to start running again. 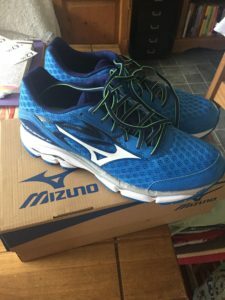 For some reason I have had trouble finding running shoes that I really feel comfortable in, I love my Hoka and my Adidas boost but neither are wide enough for runs over 6 miles,so I have mizuno wave for the extra width but i have not fallen in love with these shoes !! All was going well un till I caught a virus in early January, I tried to fight it off for a few weeks but finally had to give into it when it turned into a nasty chest infection and a course of antibiotics was needed. Not only did I have to pull out of the freethorpe 10 miler i lost 3 weeks of training too, I started back not 100% well but was determined not to miss my Half marathon. Its a week to go now, so no more running, no alcohol, and a Berocca everyday then fingers crossed I will be rested and ready !!!!!! 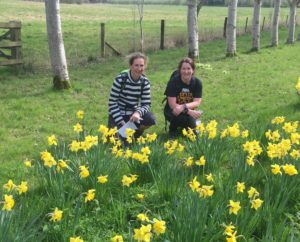 This entry was posted in Running on February 26, 2017 by Sally. 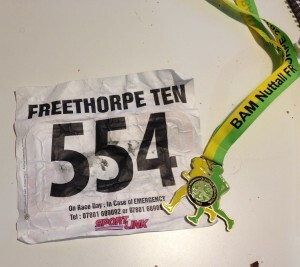 Freethorpe 10 was my first event of 2016 and I was using it as a training run for the Cambridge half in February. 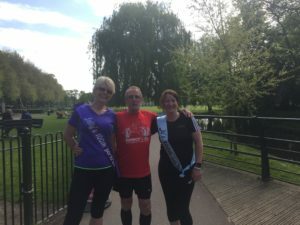 As usual I was meeting up with my Norwich running friends which always makes these events great fun,this time Linda was marshalling and Jayne was able to join us too, Was also great to have Geoff along to support us and take photo’s. The weather was cold and drizzly perfect for running not so nice for marshalling but at least the strong winds had died down. Gina and I decided to run together, although she is usually a faster runner than me her knee had been playing up and she wanted to take it easy ! 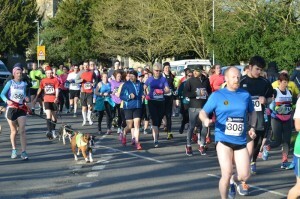 I am used to running these events now and don’t get as nervous as I used too although I was slightly worried about this one as I had not been feeling my best, so having Gina to run with was good for me. The route was more undulating than I am used too but I enjoyed the run and all the marshals did a great job of encouraging us along. I ran better than I expected too finishing in 1.42 and loved the first bling of 2016. After the run we enjoyed lunch at the Rampant horse just across the road from the village hall and then had fun trying to get our cars out the car park , a turnip field that had turned to mud after having 700 cars parked on it. 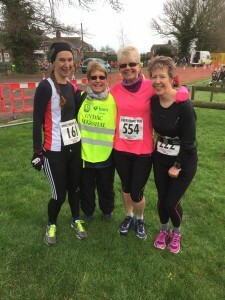 This entry was posted in 10 miles, Events, Friends, Running on February 1, 2016 by Sally. In total I ran just over 500 miles and biked over 4000 miles. 2016 is going to be an interesting year with Matthew joining the army , also I have plenty of events lined up including my first Audax ride. If all goes to plan the first 3 months I have running events , then biking events through the summer , ending the year with more running events. 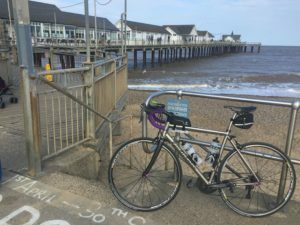 I have decided to give up my running club for the summer and go on the SWNC training rides as I really want to try and improve my average speed . 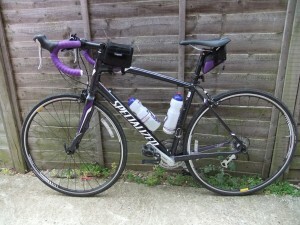 There will also be biking holidays with Geoff in Tenerife and Mallorca then back to the Cotswolds with SWNC in October. An exciting year ahead … I think 2016 is going to be all about the bike !!!!! This entry was posted in Biking, Personal, Running on February 1, 2016 by Sally. 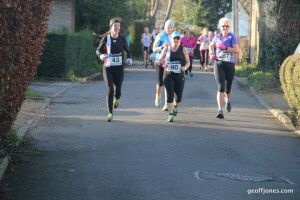 Ely NYE 10k is one of my favourite runs of the year and a fabulous way to end the year. I have been luckily enough to do this run 3 times, although I was almost tempted by a new NYE 10k at Marham this year and probably will do the Marham one in 2016. The reason I love this run so much is because I love to hear the Black piper playing his pipes as we run up the hill. My running friends Gina and Linda joined me and we decided to run this together, no one was after a fast time just an enjoyable chatty run. This year the weather was very mild, sunny with just a little wind, a perfect running day and by far the best weather in the 3 years I have done this run. A lovely chatty 10k and the hill was hardly noticed, I would like to think this was because I am fitter but I think the chatting just took my mind off it !!! I had a lucky number, 287, which is Geoff’s house number and it was nice to have him come along to support us and take photo’s. Coffee was enjoyed after with even more chatting, what a great way to end the year. This entry was posted in 10km, Events, Running on January 21, 2016 by Sally.